RCA has a long tradition of small observing parties — it’s part of why the club was formed. RCA Club star parties are for members and their families and guests invited by members. The purpose is have a smaller, quieter event where attendees can spend an entire night observing or imaging without interruption. They are often in remote rural areas where conditions can be primitive at best. The purpose of this Code of Conduct is to help insure your safety and the safety of others, to contribute to the enjoyment of club events, and to foster an atmosphere that will encourage other people to join RCA. These standards of behavior apply to club events, public events and at any volunteer or outreach events. Arrive while it is still light so you can set up and be prepared. Be aware that this is not a private observing opportunity. You will share views through your telescope with a lot of people and will answer a lot of questions. Take the opportunity to educate people about good light policies, but be ready for a lot of white light. f you are interested in buying a telescope, research before you buy. And remember, RCA members can borrow a scope from the Library. Congratulations, you bought your first telescope! Now what? Here are some tips on how to get started enjoying the night sky. RCA members have compiled this list of simple tips from good and disastrous personal experiences, to help make your hours of stargazing more enjoyable. Star parties are a fun way to get out, view the heavens, and further your experiences with other enthusiastic amateur astronomers. Your enjoyment at these functions can be enhanced by preparing ahead of time to be comfortable and equipped. Following are some suggestions to help you set the stage for an enjoyable evening of viewing. Link to AstronomyLogs.com Home of the Lunar Field Atlas and the Herschel 400 Atlas. Use red flashlights dimmed as much as possible while still being able to see. Even red light can be objectionable if it is too bright. 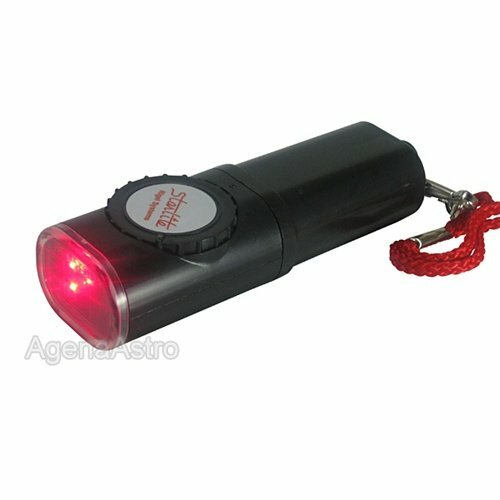 Buy a red LED flashlight from an astronomy source or camping or hunting supply shop. We recommend the Rigel Systems Starlight. Or modify a regular flashlight by covering the lens with red cellophane (thick layers) or red tail-light repair tape.